We offer guided tours at 10 am and 2 pm on Tuesdays and Fridays from Memorial Day to Labor Day. Call if you would like to schedule a tour at a different time. 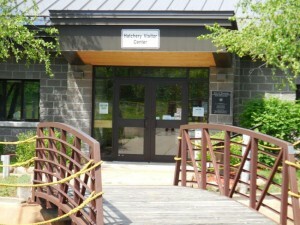 Hatchery tours are FREE! Plenty of parking. Make it a day and bring a picnic to enjoy in the attached Spooner Memorial Park. Enter the hatchery from Highway 70 across from DNR Northern Region Headquarters or enter the Spooner Memorial Park from Hwy 253/63 on the east (across from Tony’s). The Hatchery grounds are immediately adjacent to the park. You can reach the building by walking along the path next to the water.